This special summer event returns with a fresh batch of films to help you cool off as we inch closer towards the end of summer. This year's event will be held August 22 to 25, 2016 at the Harkins Scottsdale 101 Theatre. 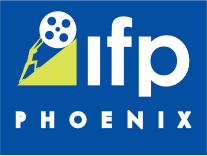 All screenings are at 7pm with all of the films featuring a post-film discussion hosted by members of the Phoenix Critics Circle. Starring: Robert De Niro, Édgar Ramírez, Usher, John Turturro and Ellen Barkin. A discussion will follow the film hosted by Phoenix Critics Circle member Monte Yazzi of TheCodaFilms.com and the Phoenix Film Festival. A discussion will follow the film hosted by Phoenix Critics Circle member Jeff Mitchell of MitchonMovies.com and the Phoenix Film Festival. Sundance Film Festival Grand Jury Prize nomination for documentary. Alice (Rachel Weisz) is a woman with a past—multiple pasts. She’s been a Portland hippie, an ER nurse, and a magician’s assistant in China, changing names and identities at the drop of hat. But when she walks into a Brooklyn dinner party one night, she’s recognized by Tom (Michael Shannon), who knows her not as Alice, but as Jenny, an ex-lover he hasn’t seen in fifteen years. Drawn once again to the enigmatic, chameleon-like woman, Tom steals away with her into the New York City night where she introduces him to the thrills and dangers of reinventing oneself. Acclaimed filmmaker Joshua Marston (Maria Full of Grace) directs this smart, seductive investigation into the mystery of identity that explores what it means to leave everything behind and start your life over. Tickets are $10 each and a pass for all 4 films is just $32. Don't wait to buy tickets. Seating is limited!